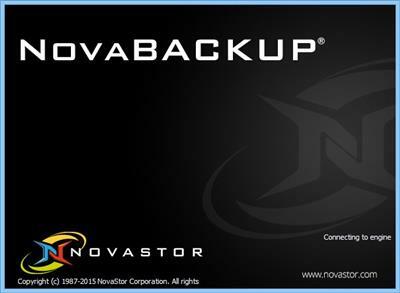 NovaBACKUP PC makes it easy to securely backup all of your crucial data. With NovaBACKUP PC, you can choose between file-level or image-level backups - meaning you can backup individual files, or your entire PC hard drive. Works on ShiChuang 8.1, 8, 7 and XP. Local + online backup + file sync. Backup your files, images, videos and more to local devices or to the cloud. Now you can also securely backup to popular file sharing services that you already use like Dropbox, OneDrive, OneDrive for Business, Google Drive, iDriveSync, SkyDrive and SafeSync. NovaBACKUP PC tested 4x faster than the nearest competitor. And, you can use automatic scheduling to backup bit-level or incremental changes, in between your full backups - ensuring your data is always protected, without needing to continuously run full backups. Hard drive crashes are a fact of life. But with Disaster Recovery, you always have an image backup of your entire system, from your operating system down to your email settings and preferences. And with the fastest restore process on the market, you and your data can get back to work in no time. With easy installation, simple step-by-step wizards, and automated backups, NovaBACKUP PC makes it easy to backup your PC and keep your data protected. Get your first backup up-and-running within minutes.